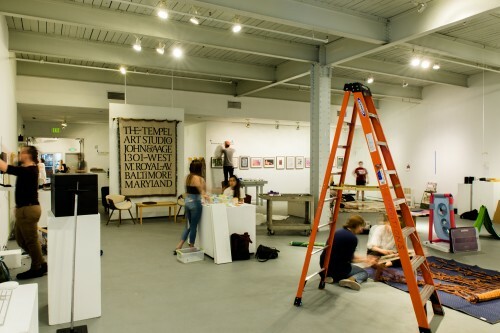 As a non-collecting art college, MICA's exhibition program emphasizes the student experience. Alongside museum-quality, curated exhibitions, much of the calendar is devoted to student conceived and executed exhibitions. By working directly with the community, the Department of Exhibitions sees its role as educators, working with students and faculty to enable a studio-connected, hands-on exhibition experience. Over the course of an academic year, MICA students and faculty present over 80 exhibitions in 11 campus galleries, as well as others in partnering spaces. Monday - Saturday: 10 a.m. - 5:00 p.m. Sunday: 12 p.m. - 5:00 p.m.
Monday - Friday: 10:00 a.m. - 11:00 a.m., 3:00 p.m. - 4:00 p.m.